As water quality and questions of water supply have grown more salient in the Triangle, Duke researchers have tried to contribute to the growing debate over water quality using the latest digital mapping (GIS) tools. 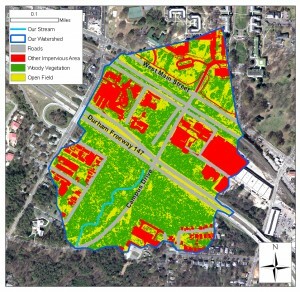 In the fall of 2009, Data and GIS Services in Perkins Library provided GIS analysis support for a stream and watershed assessment project that developed strategies to reverse the impact of poor urban stormwater management, degraded water quality, and the loss of natural habitats on the Duke campus. 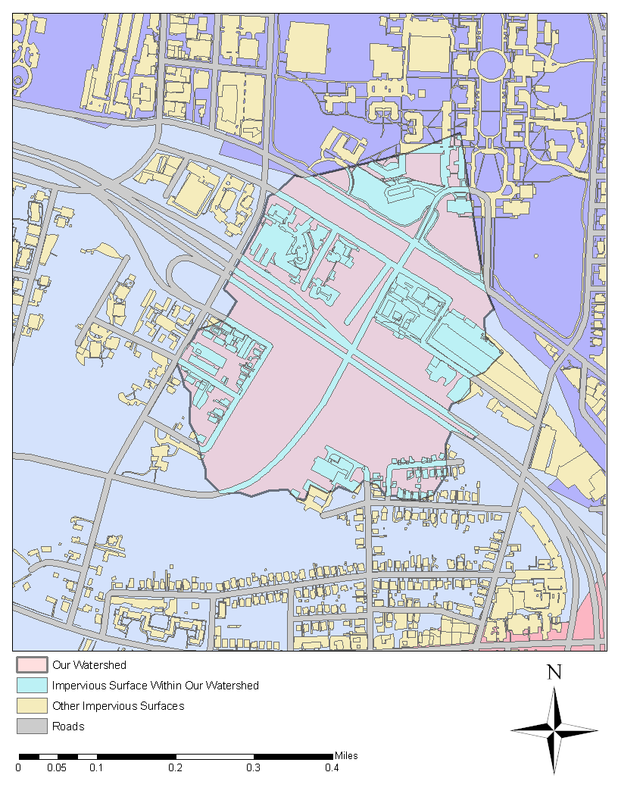 Data/GIS helped the researchers access critical spatial data for the characterization of the contributing watershed’s current land use patterns. This data enabled the students to analyze the watershed’s area of impervious surface and hydrologic flow paths, and helped inform the understanding of the water quality issues faced at the stream site. 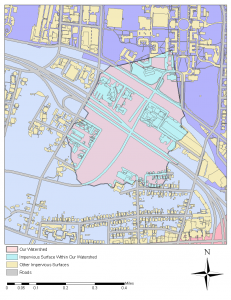 The GIS map below illustrates how digital mapping tools can be used to summarize a large amount of complex data into a compelling presentation. Special thanks to the interdisciplinary team of environmental and civil engineers, biology and environmental science majors, and a Nicholas MEM student who shared their project results: Alicia Burtner, Matt Ball, Nari Sohn, Avni Patel, Will Bierbower, Adam Nathan, Mike Schallmo, Justine Jackson-Ricketts, and Jai Singh. data and digital maps of interest to the research community. We hope that this blog will serve as a catalyst to link researchers and resources across the Duke community and beyond!